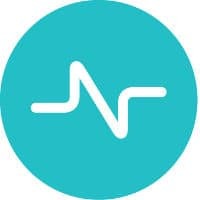 More than 100 TD Bank customers in Toronto, Canada are to begin piloting an NFC version of Nymi, a biometrically authenticated wristband that uses the wearer’s unique cardiac rhythm to verify their identity. RBC Royal Bank and “other Canadian issuing banks” began pilot testing the Nymi Band in collaboration with MasterCard in November last year. “Other participating Canadian banks are scheduled to launch similar pilots later this year and Nymi expects several thousand payments to be made using the Nymi Band during this time,” Nymi says. “Over the past several years, TD has improved the customer experience by introducing a host of innovative digital enhancements allowing us to better address customer needs,” says Chuck Hounsell, senior vice president of payments at TD Bank. “By working with partners like TD and MasterCard, we are effectively demonstrating that continuous authentication can be a more secure and convenient way to make retail payments,” adds Karl Martin, CEO and founder of Nymi. Nymi began shipping its Nymi Band to partners and key developers in October. TD Bank also co-developed the Ugo NFC mobile wallet with Canadian bank President’s Choice Financial and has signed up 50,000 users since December.